The Raub family has been in the sub business since 1957 at Green Dragon and Roots market. 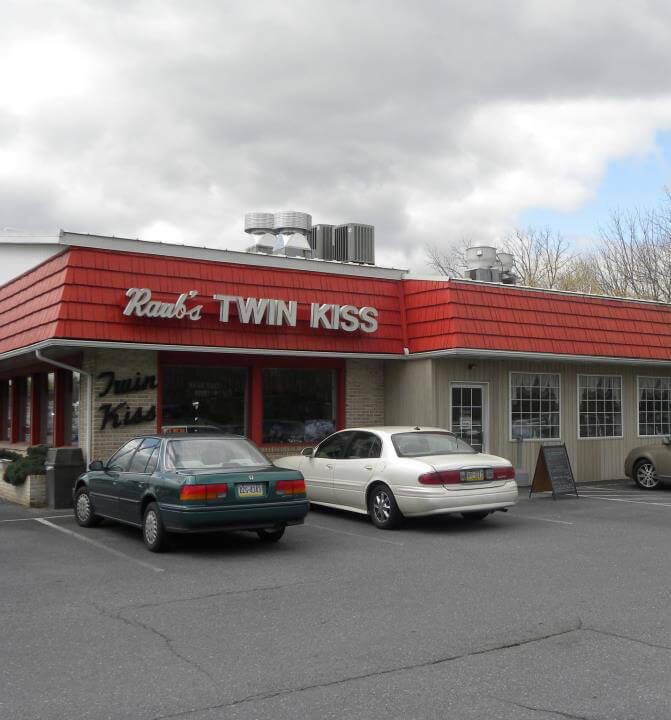 They purchased and opened the Myerstown Twin Kiss in 1992. Brian and Julie (Raub) Habecker took over the management of Twin Kiss in 2005. The fourth generation is currently involved in the business and continue their desire for satisfied customers started by Grandma and Grandpa Raub. Their subs are made of the finest quality ingredients, many are from local butchers and local companies. Their meats are sliced on location to ensure freshness. they serve fresh cut fries and make all of their soups and many of their platters fresh on location They use a richer, creamier ice cream than most of our competition. They also offer a catering line from party trays to corporate, social, and wedding events.